This time last year it was snowing like crazy and Nick and I were on our way to the hospital to check on my contractions. Hard to believe that was a year ago! Tomorrow (Friday, the 20th) Miss Lily turns 1. The last couple of nights when I’ve held her when she woke up crying (so random!) I’ve found myself getting all emotional just looking at her. My baby won’t be a baby for much longer. Heck, she’s the size of a toddler already! My baby is turning 1. Waaaah! I find the best combatant for random emotional outbursts is to offer a random giveaway. Ok, not really but I had to find a way to tie this together. The winner of this giveaway will receive the contents of this box! Yep! 5 boxes of General Mills cereal! Man, I love cereal. If I was selfish, I would have hidden the boxes from my children so that I could eat them. Especially that Cinnamon Toast Crunch. Hello, sugary goodness! Anyway, why the random boxes of cereal as a giveaway? Because Lily loves Cheerios. Actually, it’s because the nice folks at MyBlogSpark and General Mills offered them to me! I like cereal and figure at least a handful of my readers do too. Right? If you’re healthy eating inclined, you can pop over to the General Mills Whole Grains site to read about the whole grain content in their cereals with the white check, and why whole grains are important! Giveaway is now closed! Congrats to comment #11 – Jenna! 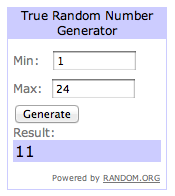 Jenna, you have 48 hours to claim your prize or an alternate winner will be chosen. The original winner has never been heard from, so a new winner has been picked and e-mailed… #23 – Karen D! Leave a comment with your very favorite birthday memory – from your birthday or a friend or family member’s birthday! Winner will be randomly selected and announced on Tuesday the 24th. Winner will have 24 hours to claim their prize or an alternate winner will be selected. Giveaway is open only to those residing in the US.